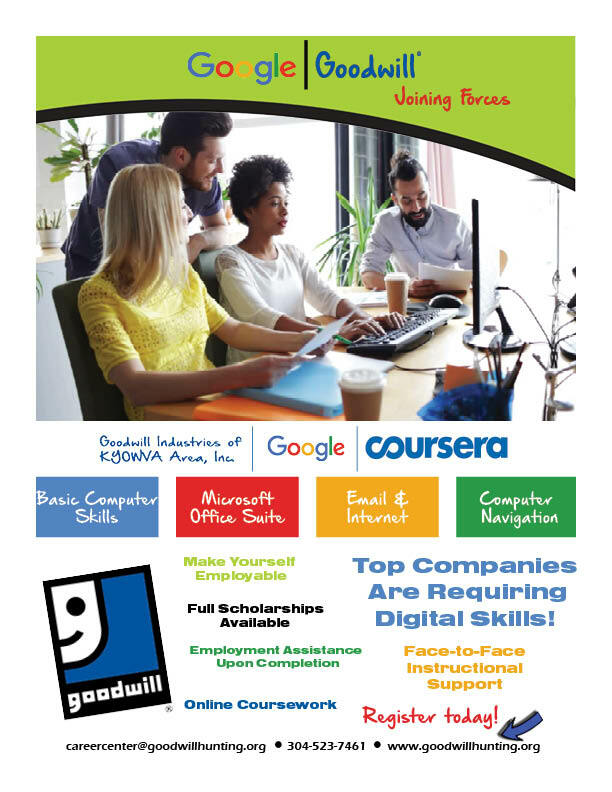 Career Center | Goodwill Industries of KYOWVA Area, Inc.
Lifelong learning begins at Goodwill! Goodwill of KYOWVA Area, Inc., believes in continuous lifelong learning. Our educational programs are designed to reflect that by meeting the needs and interests of a wide variety of students. Our programs prepare students from all walks of life for a new career in as few as four weeks. In addition to specialized, real-world training, student receive job search and resume preparation assistance. Our Career Center, located adjacent to our store at 1005 Virginia Ave., Huntington, also offers comprehensive Life Enrichment programming centered on the latest technologies and popular trends, as well as classes in computer basics using Windows software and Microsoft Office suite. Training and certifications in medical office skills; retail sales/management; customer service; and custodial. Other specialty classes are also offered each semester! Students may qualify for financial aid and college credit through our local partnerships and collaborations. Training is available on-site at Goodwill or at your location. Contact us today at 304-523-7461 or via careercenter@goodwillhunting.org for more information. Fill out the application and sign-up today for the Google IT Certification or Google Digital Accelerator! This division has had no formal consumer grievances during the CARF accreditation period of: 2014, 2015, 2016 and 2017.